Relocation has probably been the hottest word in the most recent NHL news cycle. As Chris Vivlamore of the Atlanta Journal Constitution reported, Atlanta Spirit, the ownership group for the Thrashers, is in talks with Winnipeg-based True North to sell the team. True North would then move the team to Winnipeg. This news has disappointed many people, including me. I was just as upset at the potential of Phoenix moving. However, I never actually believed the Coyotes would be leaving with the time, effort and money put into that franchise by the NHL. The situation in Atlanta looks dire. It’s not hard to understand why this is happening, but it makes it no easier for a hockey fan that wants to see the game grow in “non-traditional” markets. There are a lot of things we can see easily. We can see that Atlanta’s average attendance of 13,469, ranked 28th in the league. We saw the empty seats on TV, well… on the highlights at least. We can see that the Atlanta Thrashers have made the playoffs just once in the organization’s 11-year history. We can see an ownership group that, without much care for its hockey team, lost millions upon millions of dollars. This has caused many a hockey fan and pundit, and perhaps the entirety of Canada’s population guffaw at Southeastern expansion. It’s failed they say. It’s a joke. Atlanta perhaps is the poster child for this. However, while the buildings may be sparsely filled and ownership struggling, the impact these teams have had go far beyond business. So there are actually quite of few things we can’t see as easily as the things we can. During Hockey Weekend Across America, USA Hockey sent out some numbers regarding the impact of the NHL on amateur hockey in America. Nowhere was its impact as greatly felt by the hockey community as it was in the Southeast. Since the first wave of Southeast expansion in 1991-92, USA Hockey has seen an increase in membership in the Southeast district of 33,089 members. That is up from 6,718 prior to that time period. That is a 492.5% increase. Those numbers do not even include the 2010-11 season, in which USA Hockey registered more players under the age of eight than ever before. So, in a big way, Southern expansion has had an impact. It is not a “failed experiment” in my mind, as it has had an overwhelmingly positive impact on the game as a whole. 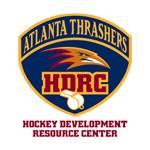 The state of Georgia is never going to be known as a hockey hotbed, but there are great strides being taken and the Thrashers have been intimately involved in local youth hockey for years. In fact, Reagan Carey, who had worked for the Thrashers in a variety of capacities over nine seasons, was hired by USA Hockey to be its director of women’s hockey not too long ago. She must have been doing something right in Atlanta to land a job like that. Carey was part of a staff that helped build relationships in the youth hockey community and create programs sponsored by the Thrashers for youth hockey players. If, and when, the Thrashers leave, there will be a void left. The likelihood of more kids picking up the sport in Georgia will shrink. Perhaps the ones that already took up the game will stay with it, but new membership, which helps fuel youth hockey organizations, will suffer. In addition to a growing youth hockey population, the Atlanta area is beginning to churn out some prospects. Powder Springs-native Vinny Saponari skated at the National Team Development Program, won a national title at Boston University, and spent this season tearing up the USHL. At the 2008 Entry Draft, he was selected by his hometown Thrashers in the fourth round (94th overall). Saponari was a product of the Thunder hockey program, based out of Atlanta. The Thunder, which has been built up over the years, recently announced that it will be joining the Tier I Elite Hockey League, one of the nation’s top AAA leagues. So not only is the area producing new youth hockey players, but plenty of talented ones as well. Now, none of this changes the fact that as a business, the Atlanta Thrashers just plain didn’t work. However, one would have to wonder what could have been and what may be for this franchise. With a solid core of young players, a future star between the pipes and a re-tooled front office, this could be a club on the rise. The Thrashers have an incredibly bright future and it’s a shame we may not see what this team could have done with some sustained success. When you look at the Nashville Predators, you can’t help but wonder if Atlanta had more time and a concerted effort from ownership that it could share similar success. The Preds have had more playoff success than the Thrashers, but let’s not forget it wasn’t too long ago that Nashville was a candidate for relocation, and even came pretty close to moving. With the bevy of young talent on Atlanta’s roster, success should soon follow. If hockey were to ever find a way to be viable in a market like Atlanta, the long-term benefit for the league would be immense. We just simply don’t know if that will ever be possible. All we know is that it will be impossible if the team moves. If there was no local owner willing to keep the team in Atlanta, it has to go. It’s just the way it is with business. Taking on a team like that would be a huge risk. However, it’s important to remember, there is so much more to a hockey market than attendance. There is a passionate fan base for this team, though small in number. There are kids who picked up a stick because they saw Evander Kane dangle through an entire team, or Dustin Byfuglien rip a slapper top shelf, or Ondrej Pavelec sprawl out to make a save. Simply put, people will care if the Atlanta Thrashers leave. If this all happens, it’s going to hurt some people, and those are the people I really feel for. When the NHL goes to Winnipeg, there will be full stadiums and great crowds and it might make for great theater. However, we knew that would happen. Hockey is king in Canada, whether or not there is a team in Winnipeg. Putting the game in a spot where it shouldn’t work and building more and more interest over time is what can grow the sport so many of us love. For whatever reason, I just don’t feel like Atlanta was given a fair chance to do that. So we’ll always be left wondering… what if? It didn’t hurt hockey in Winnipeg or Quebec when their NHL teams left so it shouldn’t in the south right? Pam, are you serious? That’s comparing apples and atom bombs. Canada has a hockey tradition that goes back generations. A new tradition is currently being built down south. When you take away the most important marketing tool for the growth of hockey in an area not already enamored with the sport, it’s going to have a drastic negative effect. Is it me, or should the ripple effect of this somehow flow to the Florida Panthers? Don’t the Panthers have the lowest attendence and TV ratings in the league by far? One would think that a quick exit by the Thrashers to Winnipeg should help pave the way for the Panthers to end up somewhere else, whether it Canada or the US. Just wondering why the obvious choice for relocation, the Panthers, never seems to be an issue? The NHL is dead in South Florida and everyone and their grandma knows it. Pappy, as of last season the Panthers ranked 22nd in league attendance. Not to mention, hockey in Florida has significantly grown since the NHL’s expansion to the Sunshine State. In 2009-10, nearly 11,000 people were playing hockey in the state of Florida, most of any Southeastern state. While the Panthers may not be the league’s strongest franchise, their impact, along with that of the Tampa Bay Lightning, has been felt. I don’t think they’re going anywhere. It’s nice to see someone who actually understands how some of us feel. I’m by no means in the age range to ever have joined youth hockey. Hell, I’m originally from a country where the word “ice” confounds the masses. But what I turned into is a rabid Thrashers fan. Watching Kovalchuk turn teams inside out and score beautiful goals inspired me to love this game, to the point that I saved my money, bought gear, learned to skate, and now play it myself. If an NHL franchise in the South can create such public spectacles as “Israeli on ice!! !”, as some of my teammates refer to me, why would anyone ever doubt the incredible effect this team has on growing the game? Here’s hoping a miracle happens. The biggest difference for Atlanta is the Arena situation. The current owners already own the NBA Hawks and control the Arena, neither of which is for sale, nor will be anytime soon, so the problem for a new ownership group is not being able to generate any extra income from Luxury boxes, Parking and Concessions. These are absolute necessities in today’s Professional Sports Businesses. Glendale is willing to concede these to the Coyotes owners, which is why the NHL is willing to fight to keep the team in Arizona. Yes, leaving will definitely hurt the youth hockey movement in the Georgia area. But, it is wrong to put that on the potential new owners of the Thrashers. In the end, it is a business, and losing $32M annually to help build up youth hockey is simply not a cost any business group is willing to pay. In the end, don’t blame that on whoever the new ownership group is, put it on the current ownership group who wet the bed, as far as running the Thrashers go, while making money on the Hawks and concerts at the Arena they controlled and will continue to control. I personally have no problem with southern teams. The problem I have is when teams starts losing, the fans seem to disappear (unlike Canada) and the fans stop showing up and all of a sudden it’s the owners fault? For all I care, southern teams can stay where they are. As long as the fans stick with their teams through EVERYTHING. However it makes me wonder, why did the NHL take such a risk and expand in the south yet it refuses to take that risk and expand in Canada? I can’t speak for all Canadians but that’s just how I feel. Why did the NHL take such a risk? To expand the footprint of hockey in America. To try and be a truly national league. There are plenty of reasons for trying. Putting a team in Canada would only moderately build the fan base. Whereas exposing the game to a new audience could potentially greatly expand hockey’s reach. Canadians love their hockey, it’s part of their tradition. Sometimes in business you have to take a risk, as the NHL knowingly did. Nashville, Carolina, Tampa Bay and the like are all enjoying success and increasing fan bases as a result. You can’t tell a fan base to keep showing up when they have a lousy product. That’s not how the average American sports fan works or thinks. Look at Major League Baseball right now. Half empty buildings from coast to coast. Listen, Canadian cities deserve to have hockey teams, but they have no more right to a team than any American city. Whether they embrace it or not. The notion that because Canada loves hockey they are “more” deserving is absurd. Why not spread the love? Some markets take longer than others to get going. I’d argue that Atlanta hasn’t had enough of a chance to prove it can work. I understand why the NHL took the risk, and even if the teams did not succeed as a business, calling its expansion to the south a failure is whole-heartedly wrong. The number of new hockey players across the country is proof that in some way, it worked. Still, it’s a business and no businessman is going to make a decision out of charity. Should the team leave, I will be sad, but I would understand why. Typical Yankee xenophobic BS. It’s a Canadian game. We contribute 40 times more (true number) per capita to the NHL talent pool. Our TV revenue is three times higher than the entire USA, despite having a population 10 times smaller. Having teams in places like Atlanta, Miami, Phoenix and Tampa is an insult to the most important nation on earth in the hockey world. I’m xenophobic? Read what you just wrote. I highly suggest you Google the definition of xenophobia, because your post was a text book definition. And I don’t care what the market is, if the team is awful year in and year out the fans will not show up. The Pittsburgh Pirates don’t draw fans, does that make Pittsburgh a poor sports town? The Tampa Bay Bucs didn’t sell out any of their NFL games this year, yet the Lightning drew well, does that mean that Tampa is a bad sports market? The Detroit Lions no longer sell out, is Detroit a bad sports market? No their fans got tired of bad teams, same thing happens in Atlanta with the Thrashers. The Atlanta Braves were awful in the 1970s and 80s and they didn’t draw flies. Now look at them. They have drawn over 2 million fans for 20 straight years. That’s something only the Dodgers have also done. Not the Yankees, not the Red Sox, but the Braves and Dodgers. There were rumors of the Braves moving from Atlanta back in the 1980s as well now if someone mentioned moving the Braves from Atlanta people would laugh at you and think you were nuts. The same could happen with the Thrashers. Look at the attendance numbers for their first year, set the NHL record for attendance by an expansion team. Then look at their attendance for the 2006-2007 season when they won their division. The market will support a team that tries to win. The Braves lost 90 games in 2006 and still drew 2.5 million fans and averaged over 32,000 fans a game. That’s what will happen with the Thrashers. If they ever get a couple of winning seasons in a row to help build the fan base, the fan base will be more likely to stick with them during a bad year. It’s funny, but you seem to forgotten Nashville off your list. Remember just a few years ago, all the Canadian fans(like yourself) were saying the same derogatory things about Nashville. Now look them after this last playoff run. Would you call Nashville an insult to the hockey word? Thanks for this rational, well-reasoned look at the subject. I’m a Pennsylvania-born hockey player who relocated to the Research Triangle in North Carolina around the same time the Whalers became the Hurricanes. When I moved here, I started playing roller hockey in a local rink. 90% of the other players at the time were 20- and 30-something northern transplants — mostly from Buffalo, Pittsburgh, or Canada. With a moderately successful franchise, hockey in non-traditional markets can work. I don’t know for sure that it can work in Atlanta (the ownership’s treatment of the team has seemed to be a joke) — but the evidence in front of me makes me cringe whenever I hear my ex-fellow Yankees crow about hockey’s failure in the South. Gotta run — I’m lucky enough to have an 8:30 game tonight! Where do you live at in the Triangle? I’m thinking about relocating to the area, I’ve heard good things about it. Ignore that Canadian nonsense. I am Canadian and the claim of it being “our game” is stupid. We happen to be very good at it, supply a lot of talent and support it more than most countries but that doesn’t make it ours. That siad its hard to justify some US franchises. There are more issues than just Atl and Arizona. C-Bus, Florida x 2, Dallas just to name a few. The other issue is that these teams need playoff gates and winning to generate sales. Canadian teams have the luxury of filling the buildings reagrdless of results, a huge advantage, though I would keep an eye on Ottawa for a few years. What exactly is the issue with “Florida x 2” or Dallas? Tampa Bay and Dallas are two of the success stories regarding the NHL growing and expanding in the South. San Jose, Nashville, Dallas, Tampa Bay and Carolina, are all non-traditional markets where the NHL has expanded and worked. All have great fanbases, and 3/5 have Cups. The Glendale Coyotes dont work because the arena is in the middle of nowhere, and its in the desert. Atlanta wasnt given a fair shake either considering their owners are idiots and have only two home playoff games in 11 years. If these two move, they move, but the first 5 markets I listed are proof that hockey can succeed in non-traditional markets. Obviously, it also helps when you have a good product on the ice. I’ve never been a fan of relocation, and relocation back to a failed area screams bad news. First, TrueNorth is the owners of the MTS Centre, a 15,000 seat arena according to it’s website http://www.mtscentre.ca. This would put the team 24th out of 30, and only 1500 more fans compared to where Atlanta fared this year. This is according to http://www.espn.com/nhl/attendance. To add to this, according to http://www.theahl.com, the Manitoba Moose, the Vancouver Canucks AHL team and current residents of the MTS Centre had an average regular season attendance of 8,400 per game, or 56% Capacity. Where are the extra fans coming from to pay more for tickets? Fortunately, there is no market to take away fans from like adding a team to Hamilton would do to Toronto and Buffalo. Secondly, Mismanagement of secondary teams or secondary arena residents is all too common, regardless of how good one team is over the other. The Chicago Blackhawks have averaged 108-111% attendance over the past 3 years. Where as their housemates, the Chicago Bulls have averaged 97-101% over the same period. However, the Bulls have priority over scheduling. This forces the Blackhawks into more weekday games and more afternoon games on the weekend. While this obviously does not impact the Blackhawks attendance, in other markets this is a major impact. I’m sure that this has an impact on Dallas, and definitely has an impact in Atlanta. a.) who moves east with divisional realignment? Nashville is technically the best fit, but as a central timezone team you bring Columbus and Detroit into the mix with putting them with their “like timezone teams”. b.) what happens to the Manitoba Moose. The Vancouver Canucks, are ultimately going to be penalized with the imminent relocation of their AHL franchise with increased travel expense, potentially smaller crowds etc. It’s always sad to say someone failed at something. While i don’t think you can call 72% failing on the fans in Atlanta, I do, however, think the management group failed at providing the fans with a competitive team to enjoy and even start a “band-wagon” movement. Just to add on to your topic about the Manitoba Moose attendance… If you look, they have a 15,000 seat arena and aren’t even the top drawing team in the league! They have been outdrawn for at least the past 5 years by the Hershey Bears, who have an arena that only holds 10,500 people! Nothing against hockey, but as a fan of hockey and an American, I’d like to see hockey spread all over the country and have it matter more than every 4 years when the Olympics are on. I think people truly underestimate how snake bitten the franchise was before Atlanta Spirit got their hands on them and how inept the Atlanta Spirit group has been since their stewardship of the franchise. The team was awarded to Turner before the merger with Time Warner, then AOL who could care less about the franchises they inherited. The entirety of the Spirits embarassing ownership. There has been almost no community outreach to build a relationship with the fans in their tenure. A solid owner is all this team needs. Maybe I am old but isn’t this the second time around for Atlanta to fail in marketing and selling hockey? You can place the blame wherever you want but this is a city that had trouble supporting a baseball team even though it was always in the playoffs. For the one success story you mention of a local player from Atlanta playing D1 hockey, there are 100 from the Hamilton area. No, I am not Canadian just a realist, warm weather cities in the states have only worked as long as the teams are winning, once they lose- the fans run. The Braves have drawn over 2 million+ fans for 20 straight years and during that streak have drawn over 3 million fans 6 different years. They are also annually a top 10 team in merchandise sold as well as TV and radio ratings. You might want to check your facts again and not determine that a team does not get support because they didn’t sell out a couple of playoff games on a Tuesday afternoon that started at 1pm. People in the south will not miss work or school to go to a sporting event. That’s just not apart of the culture here. And everyone knows why the Flames moved. Tom Cousins went belly up in his real-estate business and had to sell the Flames to the highest bidder. The Flames regularly out drew the Atlanta Hawks basketball team. The Omni arena did not help things either as it was outdated the minute it was built. Had no luxury boxes and was small. Only held around 16,000. Tim the Flames were only sold because Tom Cousins needed money for his main business and that was the most liqiudatable asset. The Flames actually had great fan support making the playoffs 6 out of 8 years. First off, my experience with hockey in Canada is that it is all about nationalism. Every conversation seems to start and end with something about Bush (George W), Gary Bettman hates Canada, Americans don’t deserve hockey, Americans don’t know anything about hockey, getting a NHL team in a number of cities (at the expense of a pre-exixting US city or a victory slap at stealing a NCAA player/recruit. Canadians seem to feel vindicated and empowered when Canada prevails at a ice hockey event, proving that the results define the best people after all. I can still remember when Canada beat Latvia by about 16 goals at the U20’s 2 years ago fans were jumping up and down like a bull at a rodeo. Really? Come on now. I guess what Canadians doesn’t want to hear is that Canada is the only nation where the sport is number one. So, how much can those victories really mean? Would it not be more meaningful if a plethora of other nations were able to give their best? Outside of Canada, the NHL is viewed as a league as it should. In Canada when a Canadian team plays a US team it is the Olympics every night. If the Canadian team doesn’t win there seem to be a notion of the league is against Canada. I thought by expanding the footprint of hockey that would be compliment to the sport and its core fan base. I guess I was wrong. As a hockey coach in a Canadian/US border state (Montana), we have a healthy rivalry going with our neighbors to the North. Sometimes listening to Hockey Night in Canada and other Canadian media, you’d think that Canadians only think that the game should exist only within their borders, and love to talk about their perceived notions of the failures of the game in the U.S. However, when their NHL teams are doing badly, their attendance numbers are not at capacity as well. At any rate, their disdain for hockey in the U.S., constantly booing our Jr teams for example, certainly has eroded my support for any Canadian NHL team players, which I find unfortunate, as I grew up with some of these teams and players as my youthful heroes. On the possible move of the NHL Atlanta Thrashers, I have a little funny story to tell. Back in the late of 20th century and early of this 21st century, when the Anaheim Ducks hockey team was still owned by Walt Disney Company, I loved to frequent the local ice rink in Westminster California to watch an adult league game or 2, plus watching kids of the local LA Hockey Club at the time honing their hockey skills for potential pro career in the future. I had a chance to meet and talk to several Canadians working and living in the area. They are, like myself, hockey fans of the local NHL Anaheim Ducks, good and fun people to be around. There was one thing though that I found very funny is the fact that, for some unknown reasons, some of them believe the Ducks is a Canadian team, only BASED here in the US, because its GM, Coaching Staff and more than half of the Ducks’ roster at the time, more like 60%, are all Canadian citizens, as if one day it might get moved back to Canada or something. Wait a minute, I told them, basically, no, this is an American team, has American owner, and for business reason they have to bring in & hire Canadians to coach and play on the team, perhaps because there’s a shortage of players here in the US, because there aren’t enough quality players to fill NHL teams and only Canada can provide. Needless to say, they didn’t believe me at the time. How can you try to change someone’s mind who didn’t believe you to begin with, didn’t want to hear your reasoning, or, like you pointed out in your post, Americans are perceived to be hockey-illiterate, know nothing about hockey ? It’s all perception I assume :^)) On that count, I have to admit that yes I personally don’t know much about hockey, even though I watch games on Cables TV, follow hockey news, … for the last 10, 15 yrs or so. But I can speak MLB, NFL, NBA, …. all day long if need to :^() Anyway, in the context of possible move of the Thrashers, I personally believe that it’s a no-go though. Every time one talks about Canada, one immediately thinks about hockey. However, I think there’s more to it than that. I am sure everyone is aware of Cirque du Soleil (French for Circus of the Sun), a very financially successful Canadian aerobatics group. I and my family’s members went to their show sometime in Summer of 93, held in tents set up in the parking lot of South Coast Plaza Shopping Center in Costa Mesa California. That was I believe the first ever tour of the US by this group outside of Canada. Relocation is never desirable. I can’t say I don’t feel bad for the Atlanta fans. I remember how close my Pens got to leaving (on 3 separate occasions!) I’m indeed quite a supporter of expanding hockey as much as we can. I think Nashville is a beautiful success story, and I have no problem with teams in non-traditional markets being labeled as having fair weather fans. As long as the crowds are reasonable and the youth hockey is growing. That said, attendance in Atlanta was pretty embarrassing and Phoenix’s issues continues unabated. When the number of empty seats become distracting, it’s a problem. It doesn’t have to be a sellout every night. And a team can go through a season or two where they’re pretty poor (Dallas right now, for examples). But Atlanta was and Phoenix is unsustainable. If we move Phoenix to Quebec, we can take care of two problems. 1) A problem team is an easy market, freeing up resources to invest in areas with youth hockey potential, not only the Southern areas, but also Ohio and California, where hockey seem like they’re just about ready to explode 🙂 2) We made amends for the past. Let’s be honest, the moving of Quebec and Winnipeg was a case not unlike the Brooklyn Dodgers or the Baltimore Colts leaving town. Those teams were huge parts of the local culture, and those cities deserves their franchise. At 8 teams, Canada is maxed out and can shut up.